SAN FRANCISCO--(BUSINESS WIRE)--Baidu, Inc. (Nasdaq: BIDU), the leading Chinese-language internet search provider, has partnered with Paramount Pictures to bring immersive messaging features to fans in anticipation of the holiday premiere of “Bumblebee,” the latest film in the “Transformers” series. Bumblebee AR Emoji: Built on Baidu’s sophisticated face-tracking AI, the hyper-realistic AR rendering of everyone’s favorite Autobot mirrors the user’s expression and enables them to take selfies or create one-of-a-kind GIFs. 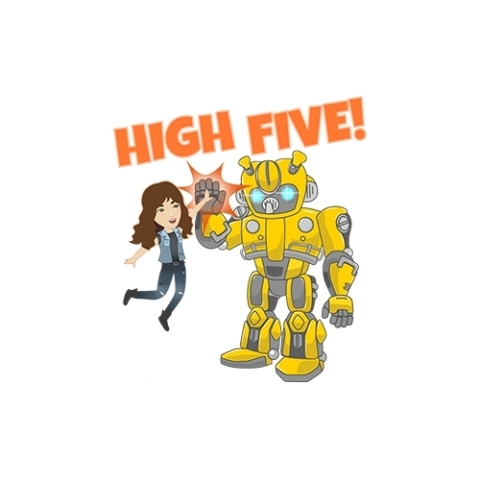 Two Bumblebee-themed Sticker Packs: Expressive stickers featuring Bumblebee and Charlie give conversations some extra gas with sayings like “Bee right there” “#TBeeT,” “High Five!” and others. 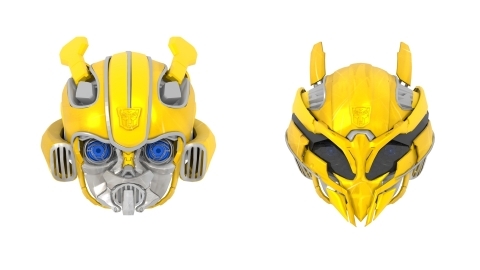 In addition to the Bumblebee-inspired AR emoji and sticker sets, users can interact with other Transformers fans within the app by voting on and downloading their favorite sticker combinations. Users no longer need to rely solely on hashtags or approximated characters when messaging friends — Paramount and Baidu are making Bumblebee accessible to everyone in and outside the movie theater. The latest version of Facemoji Keyboard for Android is available via the Google Play Store. Follow Facemoji Keyboard on Instagram at www.instagram.com/FacemojiKeyboard, or on Facebook at www.facebook.com/FacemojiKeyboard. Facemoji Keyboard is an emoji-centric keyboard app featuring Baidu’s speech recognition technology. It includes an emoji prediction feature, a wide variety of stickers and customizable keyboards, and the ability to turn people’s faces into animated emoji GIFs. Facemoji Keyboard’s goal is to help people around the world express themselves in new ways with fun, creative emoji. Baidu, Inc. is the leading Chinese language internet search provider. As a technology-based media company, Baidu aims to provide the best and most equitable way for people to find what they’re looking for. In addition to serving individual internet search users, Baidu provides an effective platform for businesses to reach potential customers. Baidu’s ADSs trade on the Nasdaq Global Select Market under the symbol “BIDU.” Currently, 10 ADSs represent one Class A ordinary share.